The Blockchain2Energy Asia 2018 conference, organized by Solarplaza and Vertech Capital at Suntec Singapore on 27th November 2018, gathered over 70 industry stakeholders to promote blockchain innovation in the energy and utilities space with a focus on how the technology can accelerate Asia’s energy transition towards cleaner and more sustainable energy systems. The event served as a platform to bring together insights from energy markets around Asia Pacific with Singapore as the hub. 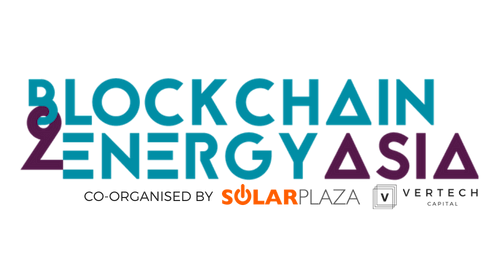 This event marked the launch of Solarplaza’s Bockchain2Energy series in Asia following a successful conference in Amsterdam in February 2018. Blockchain2Energy Asia brought together stakeholders including utilities, startups, and investors to discuss the potential of blockchain innovation in energy to redefine the global economy and address problems including energy poverty and the democratization of energy generation. Use cases of various energy blockchain projects set up the dialogue about the evolving role of utilities within the Asian energy landscape, regulatory hurdles and opportunities, and the role of blockchain in a new digital grid. Several energy-blockchain applications were featured during the conference, such as peer-to-peer energy trading, renewable energy credits (REC) marketplace, and new channels to finance renewable energy projects. Notable speakers included Bloomberg Intelligence, Power Ledger, The Sun Exchange, LO3 Energy, SP Group, South Pole, KEPCO, EGAT and Frost and Sullivan. The event was also attended by regulators and utilities from countries including Singapore, Thailand, Japan and New Zealand to discuss results and opportunities from projects around the region piloting energy blockchain applications. The conference was hosted in partnership with Asia Blockchain Week and BlockShow Asia, the leading blockchain solutions event in Asia powered by independent blockchain media outlet, CoinTelegraph. Asia Blockchain Week brings together thousands of blockchain developers, entrepreneurs, founders, corporates, and enthusiasts to share insights, projects, and discuss the future of blockchain and its applications. Based in the Netherlands, Solarplaza is a global knowledge platform and convener of renewable energy based in the Netherlands and has organized similar events in Europe, North America, and Latin America. Solarplaza organizes international high-level conferences and exploratory trade missions in both established and emerging markets across the globe. With a track-record spanning five continents, over thirty countries, fifty cities, and a total of over one hundred events, Solarplaza is a pioneering industry inspirer. Singapore-based Vertech Capital is the local organizer of the Blockchain2Energy Asia 2018 conference. Committed to building an intelligent and resilient energy ecosystem through blockchain innovation, Vertech collaborates with energy companies across Asia and Europe to unlock the full, transformative value of blockchain through technology advisory, product commercialization, and strategic marketing. Focusing on disruptive innovation, Vertech achieves top-line growth for organizations and companies. The Sun Exchange is a solar micro-leasing marketplace where conscious capital accelerates the global transition to solar energy. By leveraging blockchain-based finance Sun Exchange connects the world to the sun, making the economic, social and environmental benefits of solar power more accessible and inclusive. Positive Energy’s blockchain based platform digitises the asset finance workflow creating greater efficiency in business processes, operations, transparency and security resulting in higher profitability and performance. Our mission is to reimagine the energy funding process to accelerate the deployment of renewable energy assets globally. Starting from 2016 Blockshow Asia has been showcasing blockchain solutions, increasing the interest in this emerging technology and gathering thousands of influencers together. 2017 appeared to be a starting point for the community to welcome millions of newcomers interested in the solutions blockchain is offering to the world. BlockShow Asia is back in 2018 to make a step to the blockchain maturity. Experienced entrepreneurs with real track record, investors, talents, traders, developers, startups — all in one place for 5 days.